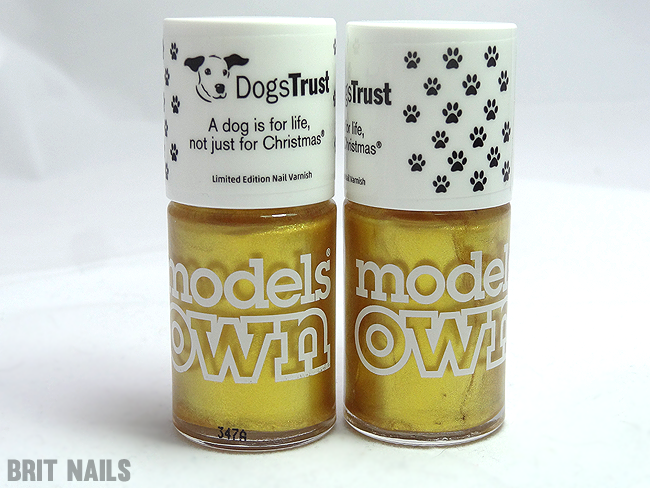 Models Own for Dogs Trust 25 Carat Gold - Giveaway! 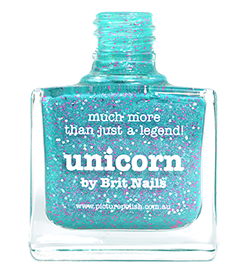 When I was asked if I'd like to feature this special polish on my blog, how could I say no? I am very much a dog person and Dogs Trust is such an amazing organisation! 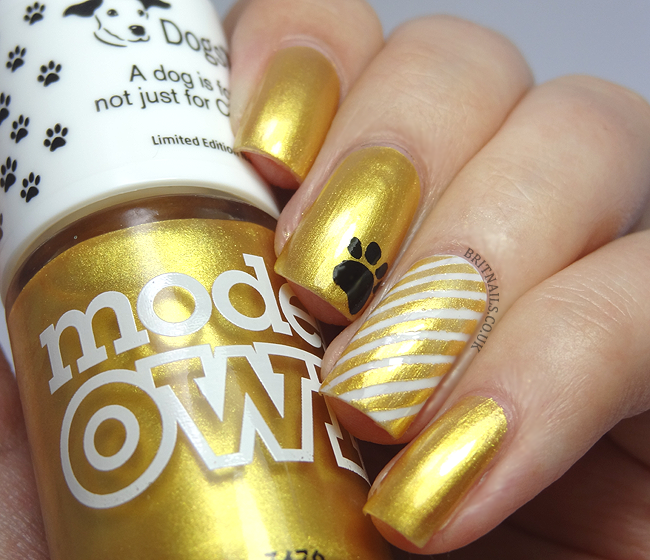 Read on for some nail art and a chance to win one of two bottles of this liquid gold goodness! 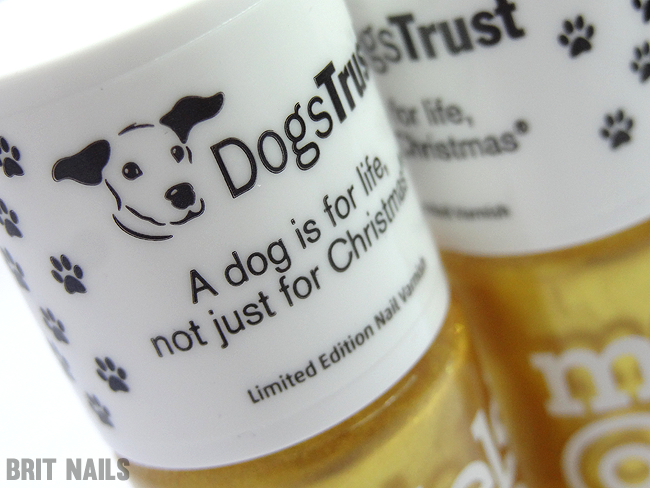 Dogs Trust is the nation's largest dog welfare charity, and they have got together with Models Own to create this limited edition polish, called 25 Carat Gold. The reason behind the collaboration is to celebrate the 35th anniversary of the slogan "A dog is for life...not just for Christmas". Dogs Trust care for over 16,000 dogs every year (I would love to be thrown in a field with 16,000 dogs, not going to lie) and they can only continue do this because of donations. All profits from the sale of these polishes will be donated to Dogs Trust. As I received these as a press sample, I thought I should also do my bit so I've donated the price of a bottle via this link. If you'd like to buy a polish, you can find them at www.dogstrust.org.uk/shopping, priced at £5.50 + £1 P+P. Remember, your money will go straight to Dogs Trust so it's really worth buying! Now I'll show you the polish! It's a shimmering, yellow-gold metallic, and applies wonderfully in 2 coats. 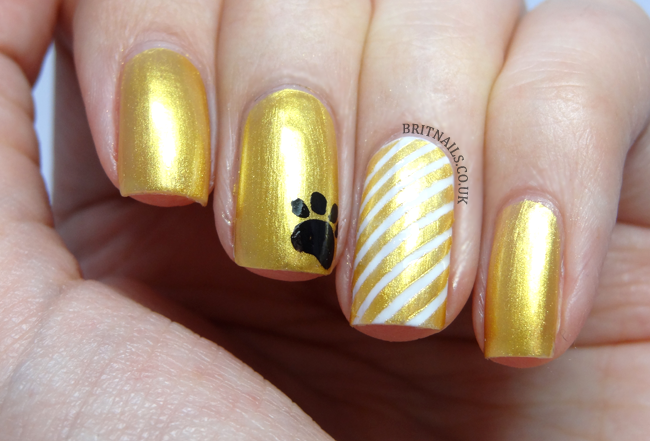 I added a striped accent nail using striping tape, and of course a paw print, using acrylic paint. How cute are the caps? Almost worth having for those alone! Because this is a post about dogs, I'm taking the opportunity to add a picture of my dog, Brody! You can use the hashtag #presspaws on Twitter to share a picture of your own dog and help Dogs Trust latest campaign, which is designed to make people pause before they get a dog, to think if they are really in a position to socialise, train and look after it for the rest of its life. Sadly a lot of people are not, and they just don't stop to think of the consequences. Brody is 11 years old and I got her from the RSPCA when she was 5 months old. 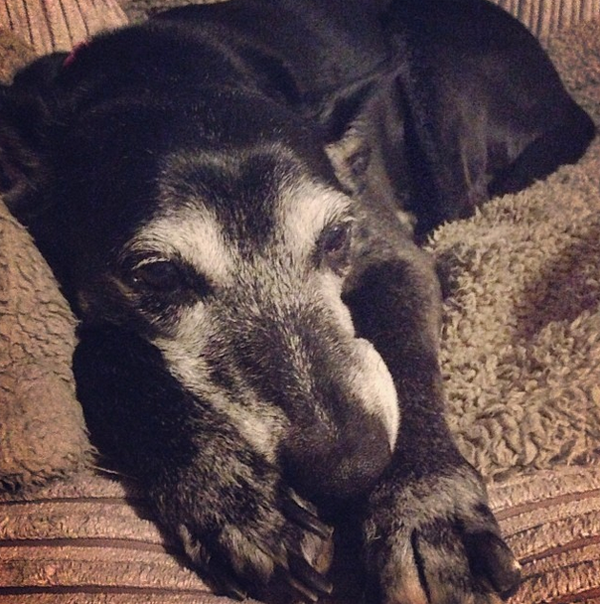 Rescue mutts really are the best dogs! Fill out the rafflecopter form to enter. First 2 are mandatory, the rest are optional for extra entries. - Open to the UK only, sorry! Silly Royal Mail rules! what a cute idea and a great way to make people remember to take care of their animals properly and not just buy one without thinking it before hand.